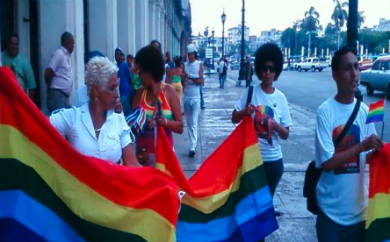 El Observatorio Cubano de los Derechos (OBCUD) LGBT is a small, independent, community-based organization in Havana, Cuba, and was founded in 2011. OBCUD aims to promote and protect the universal human rights of the local LGBT community and works at building a society that respects different sexual orientations and gender identities. The Cuban LGBT community has to deal with marginalization, insults, verbal and/or physical aggression on a daily basis. LGBTs avoid conversations about their personal lives and are often forced inside a heterosexual straitjacket, both in their work and private lives. With our funding OBCUD will hire an editor for a year that can write, edit and distribute educational material on topics like sexual diversity and LGBT human rights. The editor will distribute 2,000 flyers on a monthly basis throughout Cuba and write multiple articles. These will be published on paper and on the organizations website. Two independent journalists and LGBT activists will help the editor in finding suitable material. Watch an interview with OBCUD LGBT-founder Leannes Imbert Acosta (in Spanish) below.